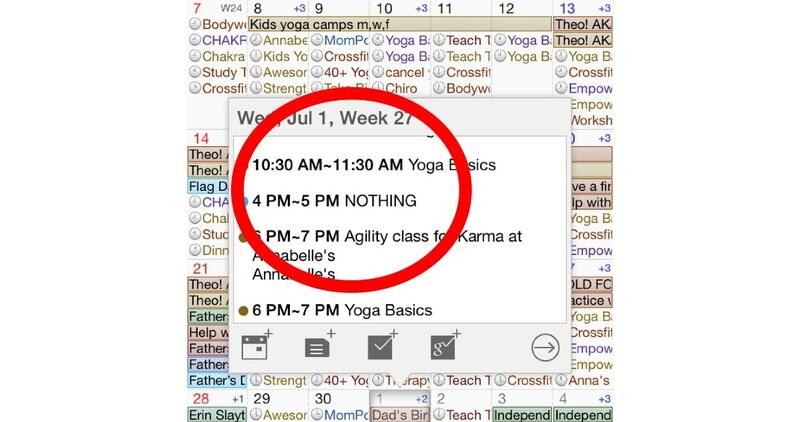 When’s the last time you scheduled some nothing into your calendar? Literally click on a Wednesday and block out 9 a.m. to 5 p.m. with the description “NOTHING.” Add in some alert notifications to prepare yourself for the nothing and then show up on time for your scheduled nothingness. This is not a rhetorical question. Do you make sit happen? How often do we bemoan not having time to relax? We complain that our lives are jam packed with events and activities and chores and responsibilities that we don’t have time to think, or breathe, or eat properly or sleep. I know I’ve done it. Heck I’ve been proud of how much I could do in an hour. Boasting a list a mile long on social media for a pat on the back of acknowledgement. And what do friends and family do? They celebrate the overachievement! Some envy my “energy,” or “discipline” for being a “get ‘er done” person. They feed the beast and I crave more validation that I’ve done the right thing. The result is stress and an inability to turn off. This is trained behavior. Trained from our earliest years. We must be productive. Getting stuff done, being busy or mindlessly distracted (video games, television, social media) has become our occupation. And we’re OK with it because we believe there’s a fictitious “one day” where we will take a deep breath and be at ease. We’re OK with delaying being at ease for retirement. We even joke that we can rest when we die. So, it’s clear we need to make some sit happen. It won’t happen on its own. We know that. We need to MAKE it happen. I know. Scary. You stopped breathing, didn’t you? Arnita Thurston, making sit happen on the Eastern seaboard. 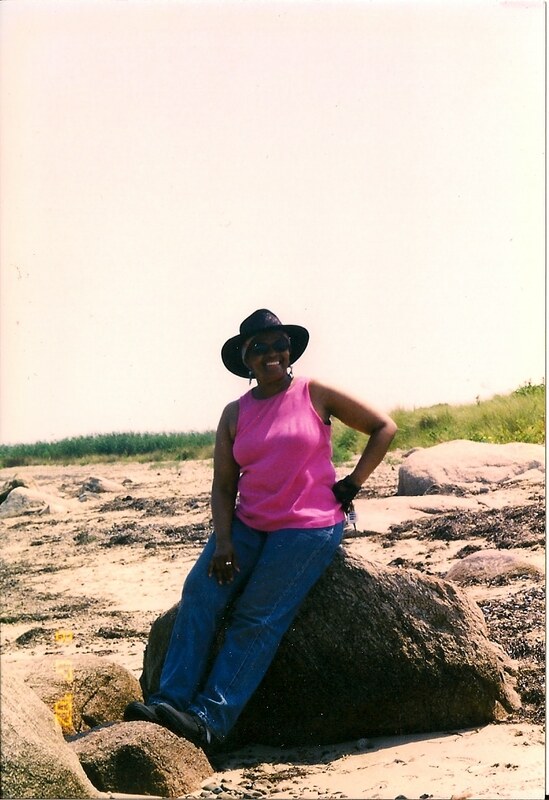 “I watched me today and the amount of nothing I did was phenomenal.” ~ Arnita Thurston, my mother, circa 1995. When my mom retired she would often call me in the middle of the day while I was at work and want to chat. I didn’t “have time” to talk but she had all the time in the world on her hands. I was a journalist so I got in the habit of writing her quotes. One day she called and the first thing she said when I picked up the phone was the quote above. What? You called to tell me in my hectic day about your doing nothing as though it was an achievement? To say I was aggravated in the face of deadlines and a fire-breathing city editor was an understatement. I read the quote back to her in hopes of having her understand the absurdity of it. I eventually would laugh about it. Over many years I’ve learned immensely from it. Can we achieve nothing? Shouldn’t it be an aspiration? OK, so let’s do baby steps. Planning a whole week of nothing might actually kill you. There was a time I thought it would kill me. So let’s start with 5 minutes. Can you actually use the digital tools you already use to help you reclaim your birthright of stillness and peace? Schedule 5 minutes of NOTHING. And when the notification alert pops up that it’s time for your 5 minutes of nothing, stop, turn off everything and select the location for your nothing. It can be right where you are, maybe outside on a bench, maybe in your car. Then deliberately just breathe. Don’t read, don’t listen to music, don’t talk. Just sit (or stand). Observe what happens. You may feel anxious that something isn’t “getting done.” Breathe and remind yourself it’s JUST 5 MINUTES. You may worry what others are thinking about you if they can see you – sitting – doing NOTHING. Screw them! If you feel silly because you don’t know what you should be doing, that’s great because you shouldn’t be doing anything. Then go back to your “get ‘er done” life and schedule another MSH session (MakeSitHappen). 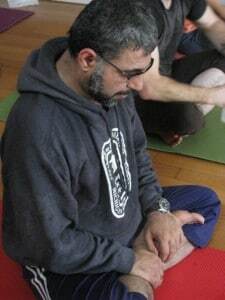 As you start to plan more MSH, you might observe you’re feeling a little more calm and less anxious. You may start to crave your MSH sessions and be selfish about it. Now you can crank it up a little in duration or frequency. You could go totally crazy and blend in overachieving into your nothingness! An MSH challenge! Yes! A 30-day Make Sit Happen Challenge with selfies on Instagram. Let’s make sit happen go viral! It could eventually become a yearly event raising awareness for emptiness. So, all silliness aside, you might be asking why do this? What benefit is it? Isn’t it just a waste of time? For one, doing more, more, more isn’t going so well for us as it is, right? High blood pressure, anxiety disorders, sleep disorders, overall aggravated funky attitudes. Short timeouts, or time-ins, can help us keep perspective and relax our hyper-charged nervous systems. Second, we may hear or see things about ourselves and our lives in the stillness we might not otherwise. Third, what would it hurt to give yourself a break. If you won’t, who will?